Upholster dining chair in Simi Valley – Dining chair upholstery has many different possible styles. You can change these styles taking into consideration fabric and comfort. Some dining seat upholstery is removable with screws, and some upholstery of dining chairs is upholstered directly on the chairs. Styles range from pullover to boxed, and with or without welt aka piping. Some dining chair upholstery in Simi Valley has backs that are upholstered which our Simi Valley master upholsterers upholster directly on the chair. Upholster club chair in Simi Valley – Your club chair reupholstery or also adequately named your big living room chair for upholstery in Simi Valley is usually the principal chair in the house or possibly you are the Archie Bunker type which nobody touches your chair. Upholstery occasional chair in Simi Valley – Occasional chairs are put in a corner or side by side. Occasional chair upholstery is larger than a dining chair and smaller than a big club chair upholstery. Upholster Bergere Chair in Simi Valley – Bergere chair reupholstery Simi Valley is a type of occasional chair but usually has exposed fancy carved wood around the edge of the chair, arms, and legs. Upholster Eames chair by Herman Miller in Simi Valley – Herman Miller, is just a brand name, but usually refers to a modern style chair which is higher quality and usually has some antiquity to them. Do not have Eames chair upholstery done by just any upholsterer, they are more complex and need particular attention in retaining their value. There are many copies of this chair, but it is a great classic office or den style. 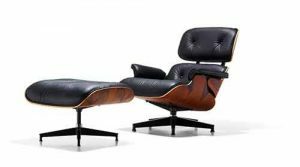 Eames chair upholstery is often upholstered in real top grain leather, and the decorative wood sometimes cracks which we specialize in repairing. Upholster Barstools in Simi Valley – I can’t think of a chair with more variations. I could probably upholster a different style of barstool every day and never upholster the same barstool in Simi Valley twice. – Game chair upholstery is like a larger dining chair, not too complicated, uses a little more fabric and a little more labor, but this is a cool chair because it has wheels and can double as a fun dining chair. Dentist Chair Upholstery Simi Valley – Dental chair reupholstery in Simi Valley is not easy to upholster, but they are quite common. A lot of dentists contract out their dental chair upholstery in Simi Valley to dental service and maintenance companies, but now you know where they are getting their dental chair upholstery work done in Simi Valley. Office Chair Upholstery Simi Valley – whether you have one office chair for upholstery in Simi Valley, or you belong to a company with thousands, we are your Simi Valley office chair upholstery experts. We upholstered 1,500 office chairs for a hotel recently, took a couple of months but came out great. Recliner Upholstery Simi Valley – Electric, rocker, recliner, push button or handle, we can upholster recliners in Simi Valley. The only type of recliner I don’t recommend for upholstery is one that has a cheap Chinese reclining mechanism with a lead frame, they bend and tweak and are difficult to function and get straight again. However, the old Lazy Boy recliner upholstery lasts forever and look beautiful for decades. They require a lot of labor and more fabric but are worth every penny because they are usually the best chair in the house. Rocker chair upholstery Simi Valley – These rockers or gliders for upholstery or best for pregnant or new mothers. Rocker or Glider chair reupholstery in Simi Valley are usually just a few cushions which are removable and are upholstered cheaply and quickly with a durable material that is very comfortable and relaxing for your newborn. Sling chair upholstery Simi Valley – Sling chair upholstery in Simi Valley is an outdoor chair. A quality outdoor sling chair is a very comfortable and elegant chair. 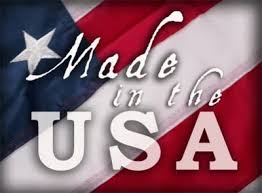 We are the only upholstery shop I know of that specializes in upholstering your sling chair. The material is a coated woven polyester which and upholstering a sling chair is more like mechanic work than upholstery. Looks simpler than it is, but easy if you have a lot of experience. Wing or Wingback chair – The most classic traditional chair of all chairs. Do you know what the wings are for on your wingback chair? In the 1700’s homes were not quite as insulating and so with all the drafts the wings helped protect your face so that you could sleep in the chair and be comfortable from the wind. Today the Wingback chair upholstery in Simi Valley is a timeless traditional classic. Wingback chairs just by the nature of their frames are high quality and should always be upholstered. Whether your chair is for upholstery in Simi Valley or you are looking for an upholsterer to reupholster your chair in Simi Valley, we are your go to shop.